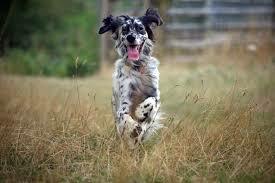 The heads of dogs and cats are innervated by twelve pairs of cranial nerves (CN). 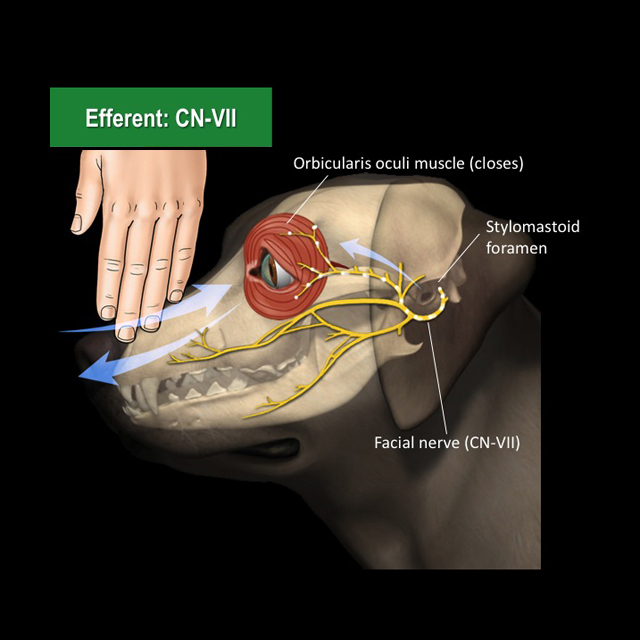 When CN VII – otherwise known as the facial nerve – is dysfunctional, the result is paralysis of specific facial muscles. This week I’m sharing some information about facial nerve paralysis to increase awareness, so I hope you find the information helpful. Happy reading! Facial Nerve Paralysis – What is it? It’s important to note all potential causes must be ruled out before one is able to called the paralysis idiopathic. Facial Nerve Paralysis – What does it look like? Illustration of a major clinical feature of facial paralysis – facial muscle drooping. 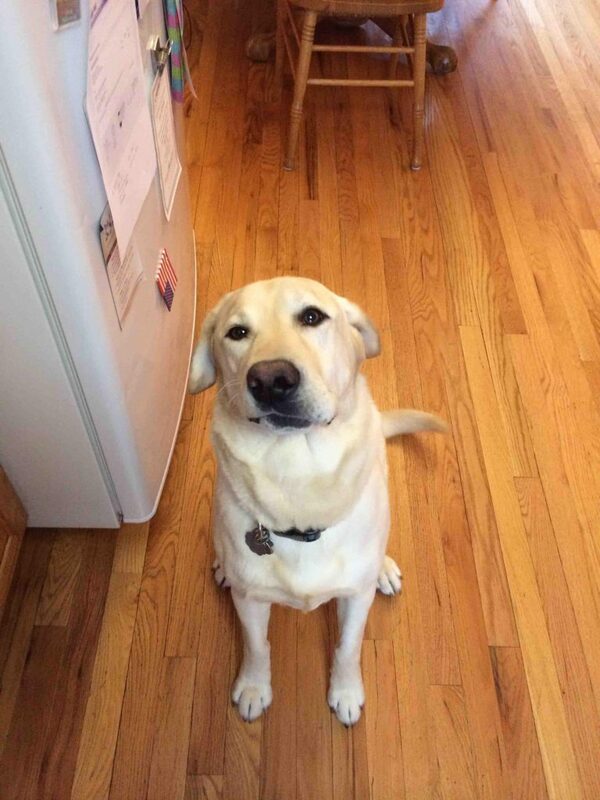 Image courtesy of Don’t Get This Dog. It’s interesting to note although the muscles of expression are paralyzed, sensation or feeling in the face is normal. Facial Nerve Paralysis – How is it diagnosed? 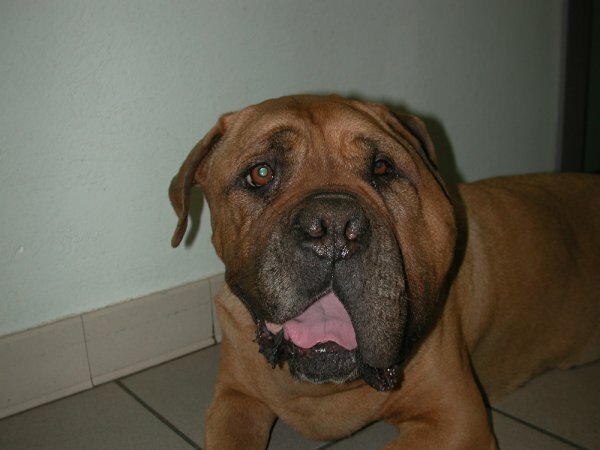 A dog with left-sided facial paralysis. Photo courtesy of Rhodes 2 Safety. Facial Nerve Paralysis – How is treated? There is no specific treatment for idiopathic facial paralysis. Most patients never regain the function of the facial nerve. Thus, intermittent chronic treatment for “dry eye” associated complications (i.e. : corneal ulceration) may be needed. If an underlying cause (i.e. : hypothyroidism) is identified, then appropriate therapy should be initiated. 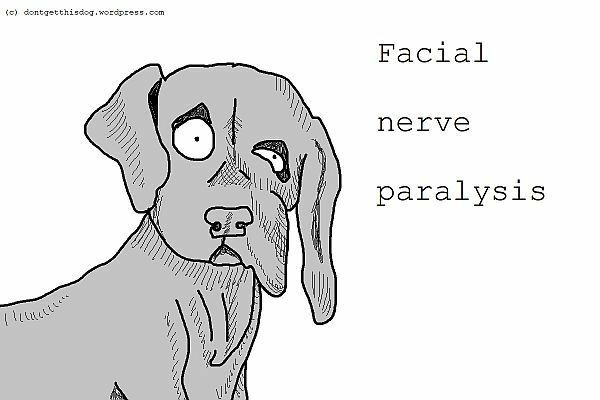 Facial nerve paralysis is a relatively common neurologic problem in dogs and cats. Paralysis results in an inability to move the facial muscles associated with expression. The vast majority of the time no underlying cause can be identified. Facial paralysis is typically permanent, but affected patients are able to live high quality lives.